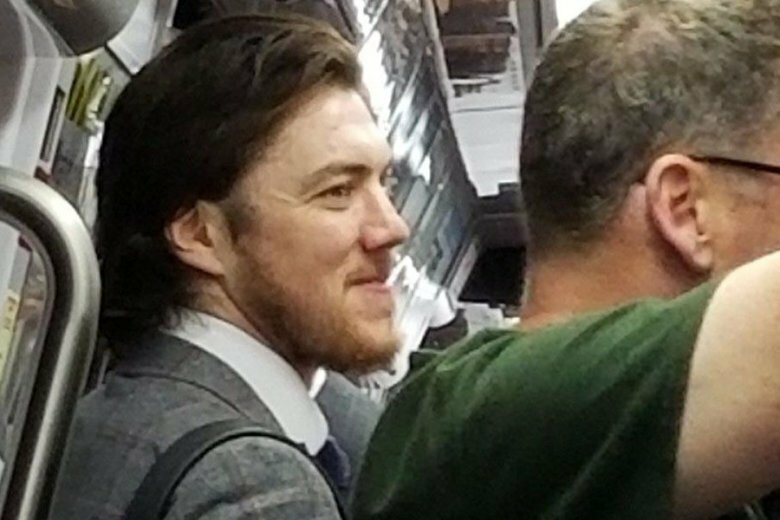 Like he did for Saturday's Game 3, Washington Capitals star T.J. Oshie took Metro to get to Game 4 of the Stanley Cup Final at Capital One Arena — but this time, with a pit stop. WASHINGTON — If you liked seeing Washington Capitals players taking Metro to get to work for Game 3 of the Stanley Cup Final on Saturday, you’ll love seeing them back to brave the rush hour — and downtown concert — crowds to get to Capital One Arena for Game 4 on Monday night. T.J. Oshie and Matt Niskanen were again spotted on Metro’s Red Line, two days after making the trip to Chinatown together for the Caps’ 3-1 victory over the Vegas Golden Knights. Though, this time, Oshie had to make a pit stop to the fare machine. The Caps are currently up 2 games to 1 in the Stanley Cup Final against the Golden Knights.